In a previous work we introduced a global StockingCost constraint to compute the total number of periods between the production periods and the due dates in a multi-order capacitated lot-sizing problem. Here we consider a more general case in which each order can have a different per period stocking cost and the goal is to minimise the total stocking cost. In addition the production capacity, limiting the number of orders produced in a given period, is allowed to vary over time. We propose an efficient filtering algorithm in O(n log n) where n is the number of orders to produce. On a variant of the capacitated lot-sizing problem, we demonstrate experimentally that our new filtering algorithm scales well and is competitive wrt the StockingCost constraint when the stocking cost is the same for all orders. 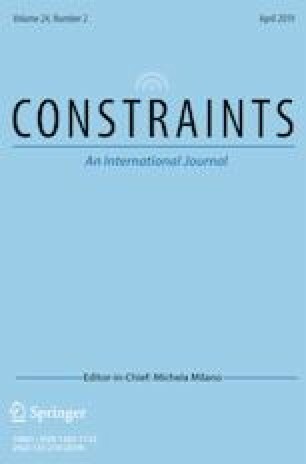 Houndji, V.R., Schaus, P., Wolsey, L. Cp4pp: Constraint programming for production planning. https://bitbucket.org/ratheilesse/cp4pp. Oscar Team (2012). Oscar: Scala in or https://bitbucket.org/oscarlib/oscar.